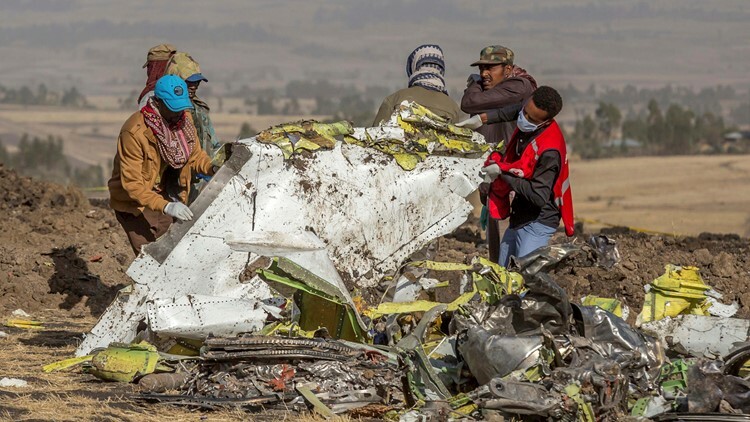 ADDIS ABABA, Ethiopia — U.S. aviation experts on Tuesday joined the investigation into the crash of an Ethiopian Airlines jetliner that killed 157 people, as questions grow about the new Boeing plane involved in the crash. But Boeing said it did not intend to issue any new recommendations about the aircraft to its customers. It was sending a technical team to the crash site to help investigators and issued a statement saying it was "deeply saddened to learn of the passing of the passengers and crew" on the jetliner.